(06-03-2018, 04:37 PM)Taipan Wrote: Megalodon Mystery: What Killed Earth's Largest Shark? LOS ANGELES — Megalodon, the most massive shark ever to prowl the oceans, may have gotten so big that it was prone to extinction. For some mysterious reason, though the biggest and smallest members of the species were the same length, many of the giant sea monsters got longer over a 14-million-year period, and then, they all went extinct, new research suggests.. Although it's not clear why the behemoths were getting bigger over evolutionary time, their big size may have made them more vulnerable to extinction, said study co-author Catalina Pimiento, a biology doctoral candidate at the University of Florida and the Smithsonian Tropical Research Institute in Panama. She presented her findings here at the 73rd annual Society of Vertebrate Paleontology meeting. Giant, 60-foot-long (18 meters) Megalodon sharks used to lurk in the Earth's oceans, but while researchers are still unsure why these behemoths of the deep went extinct, scientists now have a better estimate for when it happened. 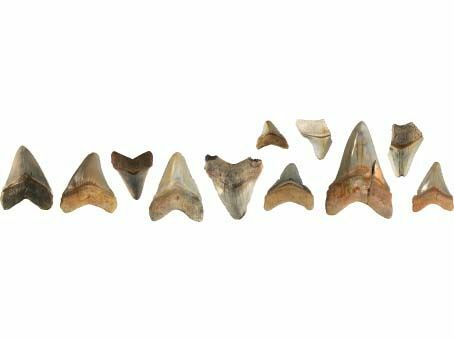 In a new study, researchers analyzed dozens of Megalodon (Carcharocles megalodon) fossils, and now estimate that the ancient shark, the largest to ever live, likely went extinct about 2.6 million years ago. This date falls on the border between the Pliocene and Pleistocene Epochs, right when baleen whales began growing to their modern-day gigantic sizes. The timing of the Megalodon's extinction makes sense, since these ancient sharks fed on marine mammals, including whales and dolphins, the researchers write in the paper. Without the presence of a predator, the baleen whale could flourish. It's difficult to pinpoint the exact date the Megalodon went extinct, because its fossil record is incomplete, the researchers said. Scientists have developed ways to determine the last appearance date of an animal, based on the most recent fossils it left behind. Most Megalodon fossils date back to the middle Miocene Epoch (15.9 million to 11.6 million years ago) and the Pliocene Epoch (5.3 million to 2.6 million years ago). The researchers identified 42 of the most recent fossils after sorting through the Paleobiology Database – a large online compilation of fossil data. The team used the Optimal Linear Estimation (OLE) technique to estimate when the Megalodon died out. But applying this technique to the fossil record can be tricky, the researchers said. Each of the 42 fossils is entered into the database with an upper and lower date estimate for when it appeared. The researchers ran 10,000 simulations, and each simulation selected a date for each fossil somewhere between the upper and lower boundary. The technique examines the spacing between the fossil dates, said Chris Clements, a research assistant at the University of Zurich, who worked on the study. "Based on the distribution of those gaps and how those gaps change, it will then infer the point in time where that species can be considered to be extinct," Clements told Live Science. The technique doesn't pinpoint the exact date when a species went extinct, but instead gives the date by which, statistically, it can be assumed that a species has gone extinct, Clements said. "We get 10,000 estimates for the time the species has gone extinct by, and then we look at the distribution of those estimates through time," Clements said. The idea is to identify the point where most of the estimates cluster. The results for the Megalodon fossils placed that point for this species at 2.6 million years ago. Six of the 10,000 simulations place the giant shark's extinction beyond the present day, suggesting the species could still be alive. However, since 99.9 percent of the simulations suggest the species is long gone, the researchers wrote in the new study that they reject "the popular claims of present-day survival of C. megalodon." Those six estimates past the present day come from the uncertainty in the fossil record dates, Clements said. Among the 10,000 simulations, there are a few that end up with such widely spread fossil dates that the estimated time of extinction is projected to be close to or past the present day. "It definitely doesn't mean that the species is still alive," Clements said. The Discovery Channel's wildly popular Shark Week programming perpetuated the idea that the Megalodon could still exist. The series kicked off last year with a documentary-style special called "Megalodon: The Monster Shark That Lives," which the network followed up this year with a feature called "Megalodon: The New Evidence." However, marine scientists agree that the shark is long gone. After this year's Shark Week, David Shiffman, a graduate student at the University of Miami who has become a social media authority on sharks, wrote in a Slate.com blog post that "there is absolutely no doubt whatsoever that these sharks are extinct and have been for millions of years. If a 50-foot-long predator that fed on surface animals and lived in coastal environments were still around, someone would have found evidence of this by now." The new findings are published online today (Oct. 22) in the journal PLOS ONE. Carcharocles megalodon (“Megalodon”) is the largest shark that ever lived. Based on its distribution, dental morphology, and associated fauna, it has been suggested that this species was a cosmopolitan apex predator that fed on marine mammals from the middle Miocene to the Pliocene (15.9–2.6 Ma). Prevailing theory suggests that the extinction of apex predators affects ecosystem dynamics. 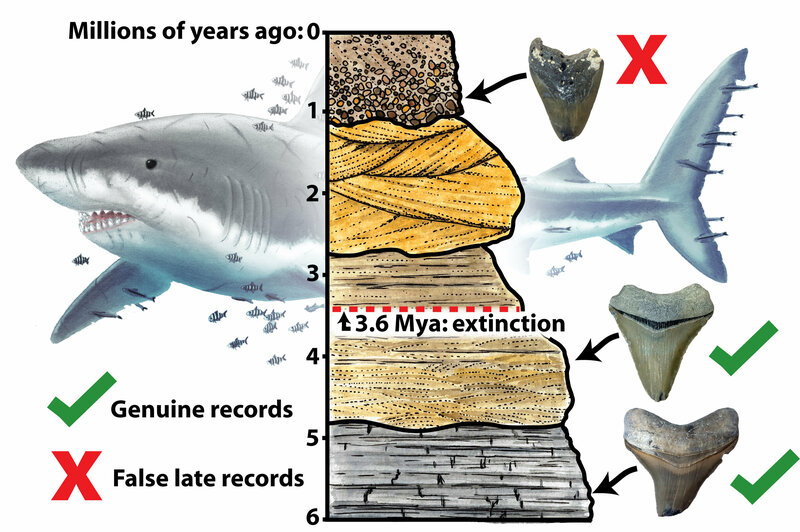 Accordingly, knowing the time of extinction of C. megalodon is a fundamental step towards understanding the effects of such an event in ancient communities. However, the time of extinction of this important species has never been quantitatively assessed. Here, we synthesize the most recent records of C. megalodon from the literature and scientific collections and infer the date of its extinction by making a novel use of the Optimal Linear Estimation (OLE) model. Our results suggest that C. megalodon went extinct around 2.6 Ma. 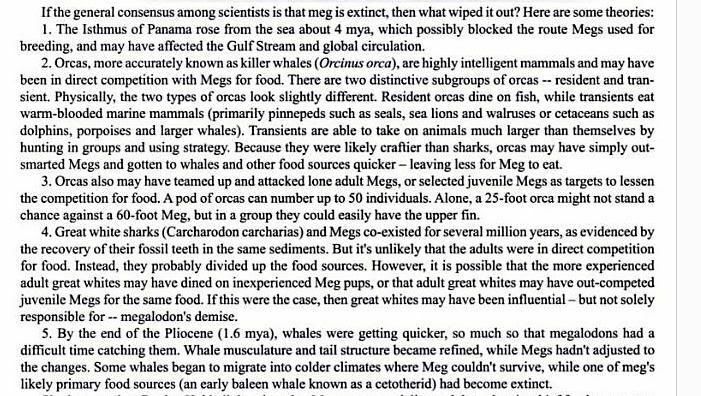 Furthermore, when contrasting our results with known ecological and macroevolutionary trends in marine mammals, it became evident that the modern composition and function of modern gigantic filter-feeding whales was established after the extinction of C. megalodon. Consequently, the study of the time of extinction of C. megalodon provides the basis to improve our understanding of the responses of marine species to the removal of apex predators, presenting a deep-time perspective for the conservation of modern ecosystems. Arctodus Simus Wrote: Why did it die out? Does anyone know? More on the possible role of competition with large predatory whales and the great white shark had on causing Megalodon's extinction. 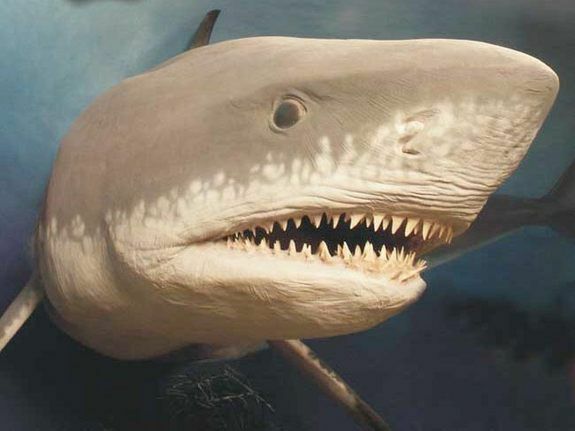 It lived millions of years ago and was three times as large as the great white shark: the megalodon. So far its extinction has been explained with the onset of an ice age. However, researchers have now come to the conclusion that responsibility for the decline of the monster shark lays not with the climate, but with other species. The jaw of a megalodon could reach up to 3 meters. Is there anyone out there who doesn't know Jaws, the film about the great white shark and the devastation it wreaked? But there have been even bigger and more dangerous sharks in the past: The largest shark in the history of the planet, Carcharocles megalodon, lived between 23 million and 2.6 million years ago, reaching body lengths of up to 18 meters and probably feeding on marine mammals. Then it became extinct. In the past, climate changes have generally been blamed for its disappearance. Now, for the first time, researchers from the University of Zurich have examined the geographical distribution of the megalodon over time and arrived at the following conclusion: The giant shark became extinct because the diversity of its prey decreased and new predators appeared as competitors. The team surrounding Catalina Pimiento from the Paleontological Institute and Museum of the University of Zurich assessed roughly 200 megalodon records from museum collections and databases, ranging in age for more than 20 million years. Based on these data, the scientists reconstructed the range and the abundance of this prehistoric animal: In the early Miocene, up to approximately 16 million years ago, they were mainly found in the Northern Hemisphere in the warm waters off the coast of America, around Europe and in the Indian Ocean, but they later penetrated further into the Asian, Australian and South American coasts. Abundance of the species peaked in the middle Miocene, while the largest geographical coverage did not take place until the late Miocene. The continuous decline followed around 5 million years ago with the gradual emergence of a glacial period during the Pliocene. "We were not able to ascertain any direct link between the extinction of C. megalodon and the global fluctuations in temperatures during this time. Changing climatic conditions do not appear to have had any influence on the population density and range of the giant sharks," explains Pimiento. Their numbers did not decline in colder periods, nor did they increase significantly in rising water temperatures. Story Source: University of Zurich. "Prey scarcity and competition led to extinction of ancient monster shark." ScienceDaily. www.sciencedaily.com/releases/2016/03/160331105841.htm (accessed April 1, 2016). Given its catastrophic consequences, the extinction of apex predators has long been of interest to modern ecology. Despite major declines, no present-day species of marine apex predator has yet become extinct. Because of their vulnerability, understanding the mechanisms leading to their extinction in the past could provide insight into the natural factors that interact with human threats to drive their loss. We studied the geographical distribution patterns of the extinct macro-predatory shark Carcharocles megalodon in order to elucidate its pathway to extinction. World-wide from the Miocene to the Pliocene (c. 23–2.6 Ma). A meta-analysis of C. megalodon occurrence records was performed using the Paleobiology Database as a platform. The data were binned into geological time slices, and the circular home range around each data point was mapped in reconstructions made in GPlates. We then quantitatively assessed the species' geographical range and global abundance over time, and the relationship between distribution and climate. The pathway to extinction of C. megalodon probably started in the late Miocene with a decrease in its global abundance. This decrease was then followed by a decline in its geographical range during the Pliocene. Although the extinction of C. megalodon has been attributed to climate change, we found no evidence of direct effects of global temperature. Instead, we found that the collapse in geographical distribution coincided mainly with a drop in the diversity of filter-feeding whales and the appearance of new competitors (large predatory whales and the great white shark). This research represents the first study of the distributional trends of an extinct, cosmopolitan apex predator in deep-time. Our results suggest that biotic factors, and not direct temperature limitations, were probably the primary drivers of the extinction of the largest marine apex predators that ever lived. Megalodon—a giant predatory shark that has inspired numerous documentaries, books and blockbuster movies—likely went extinct at least one million years earlier than previously thought, according to new research published Feb. 13 in PeerJ—the Journal of Life and Environmental Sciences. The extinct giant shark Otodus megalodon is the last member of the predatory megatoothed lineage and is reported from Neogene sediments from nearly all continents. The timing of the extinction of Otodus megalodonis thought to be Pliocene, although reports of Pleistocene teeth fuel speculation that Otodus megalodon may still be extant. The longevity of the Otodus lineage (Paleocene to Pliocene) and its conspicuous absence in the modern fauna begs the question: when and why did this giant shark become extinct? Addressing this question requires a densely sampled marine vertebrate fossil record in concert with a robust geochronologic framework. Many historically important basins with stacked Otodus-bearing Neogene marine vertebrate fossil assemblages lack well-sampled and well-dated lower and upper Pliocene strata (e.g., Atlantic Coastal Plain). The fossil record of California, USA, and Baja California, Mexico, provides such an ideal sequence of assemblages preserved within well-dated lithostratigraphic sequences. This study reviews all records of Otodus megalodon from post-Messinian marine strata from western North America and evaluates their reliability. All post-Zanclean Otodus megalodon occurrences from the eastern North Pacific exhibit clear evidence of reworking or lack reliable provenance; the youngest reliable records of Otodus megalodon are early Pliocene, suggesting an extinction at the early-late Pliocene boundary (∼3.6 Ma), corresponding with youngest occurrences of Otodus megalodon in Japan, the North Atlantic, and Mediterranean. This study also reevaluates a published dataset, thoroughly vetting each occurrence and justifying the geochronologic age of each, as well as excluding several dubious records. Reanalysis of the dataset using optimal linear estimation resulted in a median extinction date of 3.51 Ma, somewhat older than a previously proposed Pliocene-Pleistocene extinction date (2.6 Ma). Post-middle Miocene oceanographic changes and cooling sea surface temperature may have resulted in range fragmentation, while alongside competition with the newly evolved great white shark (Carcharodon carcharias) during the Pliocene may have led to the demise of the megatoothed shark. Alternatively, these findings may also suggest a globally asynchronous extinction of Otodus megalodon. I stand out it was the Ice Age starting. Its extinction occurs at the same time upon the closing of the Isthmus of Panama stopping warm waters of the Pacific meeting cold waters of the Atlantic. Whales began moving into colder waters and so the megalodon couldn't follow its signature prey leading to them starving to extinction. (02-16-2019, 03:58 PM)DinosaurMichael Wrote: I stand out it was the Ice Age starting. Its extinction occurs at the same time upon the closing of the Isthmus of Panama stopping warm waters of the Pacific meeting cold waters of the Atlantic. PBS Eons raises some interesting points as well.